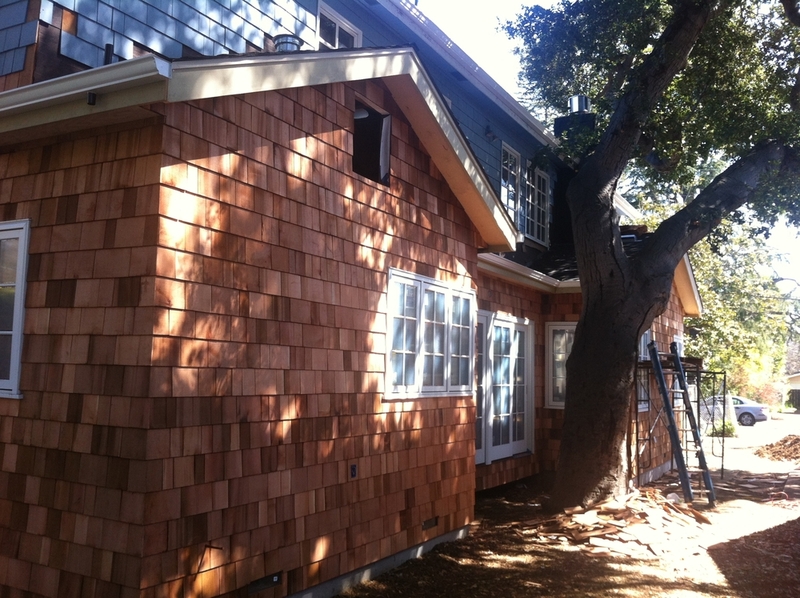 The exterior shingles are going on. The drywell for the roof drainage system. 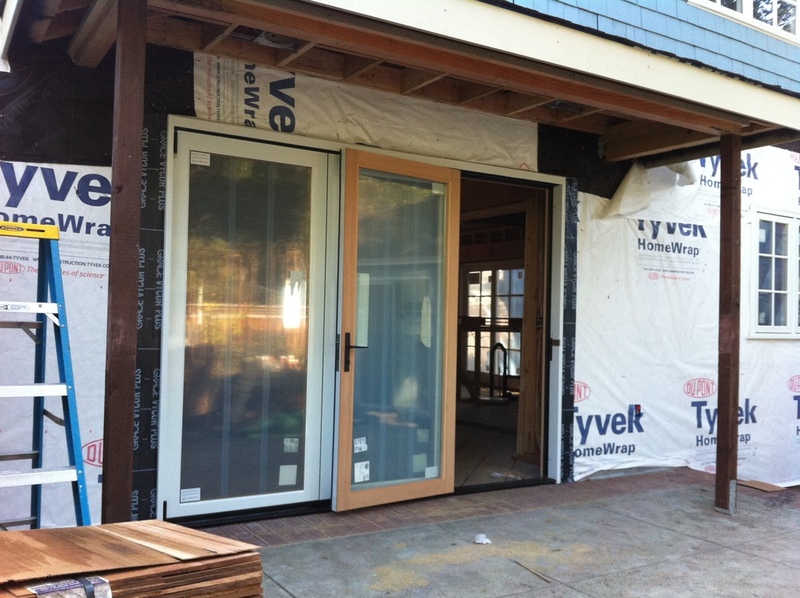 The folding door system coming from the new Family Room.